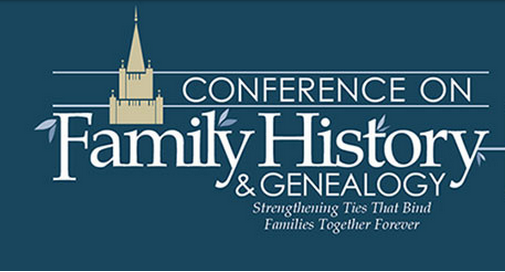 ResearchTies will be attending the BYU Family History conference in Provo, Utah, 29 July to 1 August. Come visit with us in the vendor area, and sit down to use a trial version of the program with assistants available to answer questions. See you there! As genealogists locate sources of information which are relevant to their research goals, they need to record a full bibliographic citation, as well as any comments about that source which could prove helpful in the future. They also need to record which repository houses that document. Some sources are used over and over again. For example, how many ancestors do you need to locate in the 1900 U.S. census? How many times do you want to type and re-type that citation? ResearchTies provides a source template to record each source one time, and then whenever it is used again, only a click in a dropdown box is needed to link the entire citation to a new entry. or they can be added while recording a Search by clicking on the green add circle. Either approach will bring up the template to add a new source to the database. The first information to be recorded is the repository where the record is located. Select the correct repository from the dropdown list, or add a new facility with the green add button. Then, indicate the type of record you are using. This field allows researchers to locate database entries by record type. Next, the author or creator of the source should be recorded. If the creator is a corporation, put the name of the corporation in the author’s surname field. It is fine to leave the given name field blank. If the author is a person, be sure to record the full name using both fields. If there is more than one author, record the main author’s surname, then record the given name and additional authors in the given name field as you would want to see them in a citation. 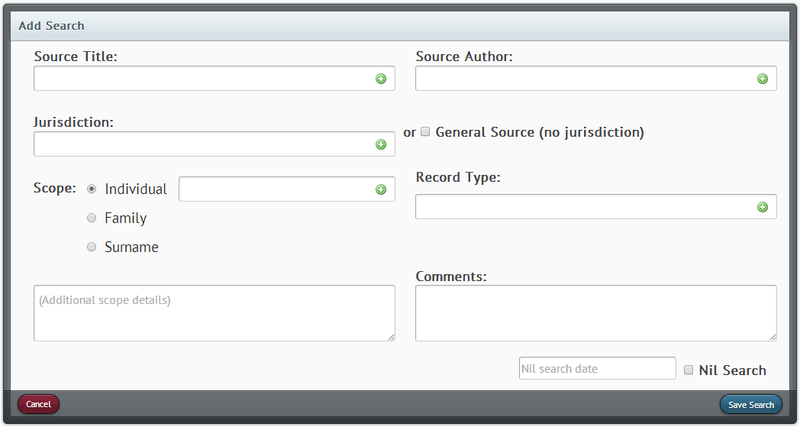 It is highly recommended that users record the title of the record exactly as it is in the repository’s catalog. This will facilitate the ability to easily recognize what is being referenced. An easy way to do this is to copy/paste the information directly from the catalog. ResearchTies allows for a variety of record formats. For books, archival documents, and more, users will want to record a call number. Films will require a film number, and online resources need a URL. In many cases, two or three of these might be relevant to the same source. Record all identifying numbers that will be helpful in the future. If a source is contained entirely on one film, record the film number in the source template. If the source is a collection of multiple films, it would be best to use the comment field to record the number of films. Then, when a specific entry is located, the film number should be recorded in the results template to indicate which film is relevant to each person. Notice that all other citation details are recorded in the same field. The author and title of a source are separated from the citation so that they can be included in dropdown boxes for future research. The remainder of the citation may be recorded in whatever format is appropriate for the source and repository. Because this is an open text field, users can record citations in Mills’ format, a specific archive’s format, or one that is standard for a foreign country where the work is being conducted. Remember to include publishing information and all other necessary bibliographic data. Finally, any comments about the source can be recorded in the Comment field. The easiest way to record a source in ResearchTies is to go to the Source list, click on “Add” in the upper right corner, and then copy/paste each field directly from an online catalog or website where the source is located. This process is quick and efficient, as well as accurate. The entry can always be edited if some fine-tuning is needed. Remember, after a source is added to your database, you will never need to retype that citation again! Clicking on the source in the future will link the entire bibliographic citation to a new Search. Genealogists conduct research in a wide variety of records that are found in many different locations. Not every record we work with is housed in a library. For example, research could be conducted in archives, county courthouses, internet websites, an aunt’s personal photo and record collection, cemeteries, and many others. These are not all libraries. In fact, the user may be confused if asked to record “the library” for a source that did not come from a library. The broader concept is that these places are all repositories for records. When adding a Repository to your list, the template asks for a variety of information that might be relevant to the different places where records are stored. Fill in the applicable fields and leave the others blank. In the comment field, you can input whatever additional information is needed or useful. For example, include hours of operation, parking information, or whether a reading card is required. Consider inputting whatever information might be helpful to you when using the repository in the future. If the URL is recorded for the website or online catalog, the list of Repositories will be a quick “bookmark” to return to the site. When planning an on-site research trip, you will have all the information you need about the repositories you plan to visit. Search the catalogs, contact the repository, use the address to create Google maps and find nearby hotels, and more. Information about all your destinations will be available in one list. Enjoy planning your travels! Earlier blog posts were written about formulating objectives and planning your research. After writing objectives, researchers frequently need to return to them to add new searches or mark them as completed. ResearchTies has a multi-variable search engine to help in locating objectives once they have been recorded in the software. To find an objective, click on “Search Your Logs” on the home page. The search engine defaults to “Objectives,” so there is no need to change the first dropdown box. Notice that the other defaults are set on “All.” Clicking on “Search” without entering any limits to the search will return a list of all objectives you have written. If there are many, or if you want to see only a limited number of objectives, narrow your search as desired. It is possible to limit the list by person, family, or surname. Select the relevant radio button and then select the desired entry from the dropdown box. Additional limits can be added for jurisdiction, record type, and/or event. Any term(s) entered in the keyword field will narrow the list of objectives to only those containing the chosen keywords in the comments field. It is also possible to narrow this search to only the completed or incomplete objectives. Each limit added to the search will continue to narrow the list of objectives returned. It is possible to be very specific and have only one or two items returned in the list. From the resulting list, use the menu options to add a search or edit the objective. Users can also click on the objective to expand the view and see all attached searches and results. You will see a new field for a username that currently contains the account email address. Feel free to select a username, if desired. While on the account page, please provide us with some general information about your residence. A full mailing address is not required, we are interested in where our customers are located so that we can serve you better. We are pleased to announce that the British Library has now approved ResearchTies as a site that can be accessed from the library’s wifi and wired internet service. As mentioned in an earlier post, if you find access restricted at a repository, please let us know so that we can obtain the appropriate approvals. Our thanks to the British Library and The National Archives in London for providing access to ResearchTies from their facilities. One of the strengths of ResearchTies is its capacity to assist with research planning. As mentioned in the previous blog post, it is important that research be driven by a goal. When you know what you are looking for, it’s easier to know where to look! At the beginning of any research session, know what your objective is, whether returning to an unfinished goal or beginning a new one. Focus your efforts. When recording Searches, it’s important to realize that you aren’t just planning to “look” at a source, you are planning a specific Search. What is the scope of the Search? Who are you searching for? What are the jurisdictional limits–a particular township, county, state, country? Are you placing time limits on the Search–a specific span of years? Define for yourself the limits of the Search. As you determine the person, family, or surname for whom you will search in a defined place and time, it will be clear exactly what needs to be done when accessing the source. 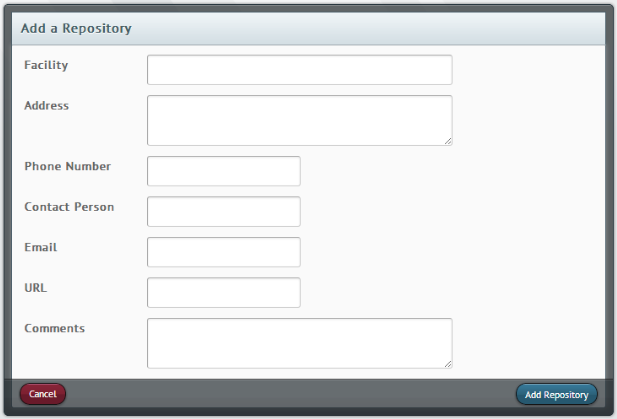 For data entry, the first step is to select the source from the dropdown box. If this is a new source that you have not recorded in the database previously, click on the green add button in the title or author field. A template will open to allow creation of a new source with its full bibliographic citation. Every source will need to be added to the database only once, and each time it is needed after that, it will be available to select from the dropdown. The author and title of each source are recorded in separate fields so the database can use that information in the dropdowns. The remainder of the citation should be recorded in a standard format in the “Additional Citation Details” field. (Do not repeat the title and author here, because the citation will be brought together in other areas of the program.) This citation field is a text field to allow total flexibility in recording citations, as needed, for any type of record for any area of the world. Next, save the source and continue recording the parameters of the Search. The jurisdiction will be either the jurisdiction of the source or a smaller area if you are narrowing it further. If the source does not have a jurisdiction (family letters, a biography, etc. ), select “General Source.” When recording the scope of the Search, be specific, as already mentioned. This is an essential element in planning research. When visiting a repository, whether in person or online, you will need to know exactly what you planned to do. The scope also gives meaning to a nil Search. Knowing exactly what was searched and what you were looking for is necessary for quality evaluation. Lastly, entering the record type provides the necessary information to find Searches by record type at a later time. If desired, add any comments that might be helpful when conducting the Search. With full details recorded for planned Searches, genealogists are more focused and efficient in their work. In ResearchTies, a “to do” list can be generated easily so that no Searches are ever forgotten. When looking for relevant sources, don’t neglect repositories that are at a distance. Record those Searches, and if an opportunity arises to travel, a “to do” list for the repository can be generated instantly at any time in the future. Also, when working through a “to do” list, there will be no temptation to skip the recording of nil searches, because only a date and checkmark are needed. Learn to be a more effective researcher by planning and focusing your efforts. Record your plan, generate a “to do” list, and then work your plan. Why are some genealogists more effective than others? One reason may be that these researchers are focused on a specific objective and apply known methodologies to their work. Experience teaches that certain records provide specific types of data, which then can be used to locate additional information. Wandering through shelves and websites hoping to find something that might mention an ancestor is inefficient and ineffective. It is important to have goals to guide our work. The first step in any research project is to set a goal. Large, overarching goals are good for long-term direction, but very specific objectives are best for directing day-to-day and month-to-month work sessions. ResearchTies facilitates the recording of objectives and displays the current objective at the top of the form. Remembering the objective helps researchers to stay on track and reduce time spent wandering. 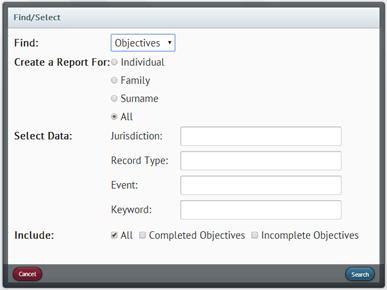 To begin, click on “Add Information,” then select “Add Objective.” A ribbon with five objective types will be presented. Most researchers begin their work with a preliminary survey to determine what research has already been completed by others. After learning what has already been done, genealogists will notice pieces of missing information, dates and places that are not documented and need to be verified, and events in an ancestor’s life that raise questions. All of these can be addressed by formulating objectives to learn more. When writing an objective, it’s possible to be both specific and a little general. Determine exactly who the question is about. Is a marriage for a person missing? Is a census survey for a family needed? Would it be helpful to analyze the tax records for every male with the same surname in a place for a certain time period? Searching for the marriage of an individual is a narrow search, and searching census records for a family will be more broad. However, the most important concept in writing objectives is that they be achievable. You need to be able to declare an objective “complete.” In these two cases, the marriage objective would be complete when the desired (or available) information has been located. The census objective would be complete when all census entries for all family members are found or determined to be missing. Objectives so broad that they can never be completed are not helpful. Become familiar with the fields available in each objective type, and realize that there is more than one way to write an objective. For example, searching the marriage records of a place for an individual is essentially the same as identifying the spouse of an individual. The way the objectives are formulated is a personal choice, and the program allows that flexibility. Also, an unlimited number of Searches can be added to any one objective. Whatever it takes to complete the goal, ResearchTies will help you record and remember. In just a few more weeks, ResearchTies will be attending the NGS Conference in Richmond, Virginia (7-11 May). Come talk with us and/or ask questions at booth #505, or attend a class to learn more about the program. “Finders Keepers: Retrieving One Document in a Million, Instantly!” will be held at 8:00 AM, Thursday, 8 May. We will also have a “sandbox” to work with ResearchTies and receive hands-on help at the booth. See you in Richmond! It’s hard to believe that we launched ResearchTies a year ago this month. 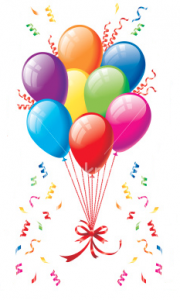 We want to express a heartfelt thanks to all of you who have supported us through the excitement and challenges of a program in its first year! We’re looking forward to another great year full of growth and new features.